Recent advancements and increasing use of social networking applications have made extensive amounts of data available. Because of this, exploring new and effective methods for mining and analyzing social network data is needed. 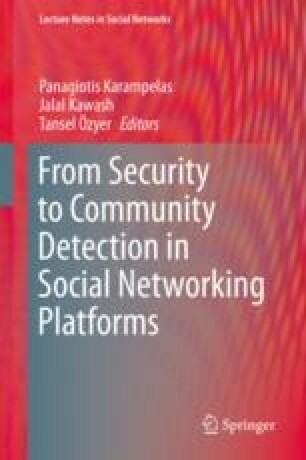 In our work, a method inspired by evolutionary approach is proposed to find communities in social networks. A genetic algorithm, which is able to detect communities without needing the number of communities at the beginning of the algorithm, has been formulated and compared with other community detection methods to prove its accuracy, efficiency, and effectiveness. In addition, experiments using Newman’s spectral clustering method as a preprocessing step to our modified genetic algorithm have been done and seen producing better results for large datasets.